Read our reflections from MSCE 2014 here! I went into MSCE dead tired from a missions trip I had finished the night before, with no energy, no voice, and seemingly no emotional capacity to embrace a new experience and a new group of people. I had no idea what to expect and wasn’t logistically (was running out of toothpaste) or mentally prepared to work with a team of physically and spiritually older brothers and sisters from all around the US whom I had never met prior to that week, to spend time with students of an age group I had no prior experience with. But God is so faithful and so good. He provided me with rest, rest in Him. I was able to renew my strength in Him and was able to see God use our team to share His good news with the students at MacKay Medical College (MMC) and during our service trip the following week. My biggest takeaway from MSCE was hearing so many different stories—from the diverse American TAs to the Taiwanese college students have met Christ, who want to be Christian, who want to learn more about God. These students were so eager, so excited, so willing to learn about God, to read the Bible, to ask questions about what Christianity is and who God is. Never before have I had the opportunity to share the gospel with so many people who are so willing to listen, so curious to learn about Jesus, so open to me sharing about Jesus, and who find the Bridge Illustration so cute and entertaining. 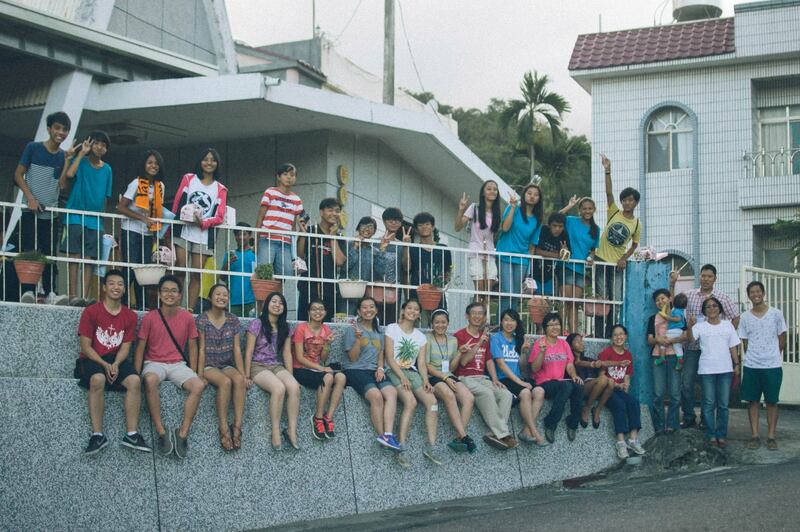 After camp, the TAs headed to Taitung just in time for a typhoon to hit after we briefly visited the Taitung Christian Hospital as well as its affiliated nursing home and orphanage. 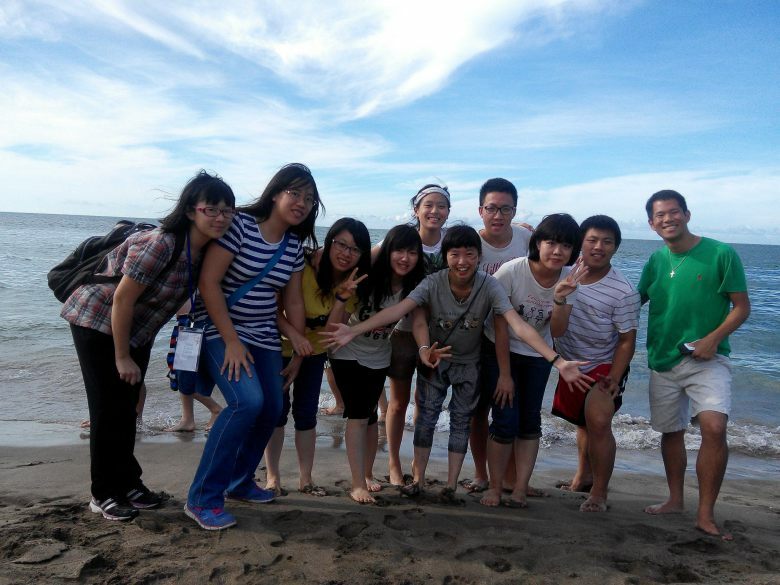 In Taitung, I saw the beauty of God’s creation, the environment and the people. After the typhoon passed, our team traveled to a nearby village where aboriginals of the Paiwan tribe lived. There we helped to put on a two-day camp for church kids who didn’t seem to have much motivation or hope for the future. These two fruitful weeks have been an experience like none other, and it’s always such a pleasure to be able to take part in God’s work, especially in such a land so near and dear to my heart. God tells Habakkuk “’Look among the nations, and see; wonder and be astounded. For I am doing a work in your days that you would not believe if told.” Taking this out of context, God shows me His heart for Taiwan, for His people and His land. I came into MSCE not knowing what to expect, but this experience definitely surpassed anything I could even imagine. I have gone on plenty of mission trips before, but being able to serve other medical students around my age was a totally different experience. I instantly clicked with them! 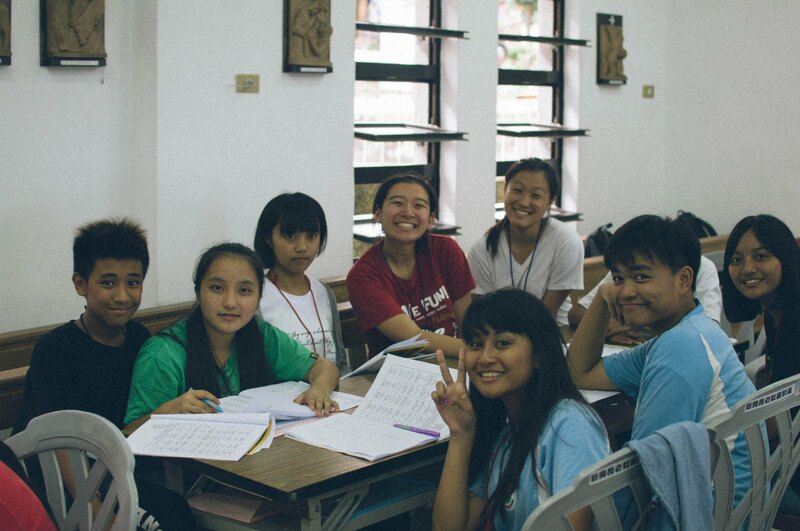 They became my friends, instead of just people I was teaching and serving. However, I also felt like I was inadequate and incapable of making an impact. I was one of the youngest TAs, and even the students were all older than me! I thought I couldn’t pour much into them, so I laid low. On the second day, after bible study, we split into groups, where students could ask the TAs any questions that they had about the lesson. I was freaking out because I thought I couldn’t answer the questions thrown at me, that blanket of inadequacy still covering me, but I couldn’t do anything about it. I thought back to a verse I read earlier that morning. “Do not be anxious how you are to speak or what you are to say, for what you are to say will be given to you in that hour.” Matthew 10:19. I proceeded, asking God for guidance and help. God provided me peace and also the words to say. I found myself explaining things in ways that I don’t even remember thinking about – words just seemed to flow out of my mouth, and the students actually understood what I was saying! Throughout the week, I came across students that had the hardest questions I have ever faced. All the students thought so deeply and I could see their curiosity for God and Christianity grow more and more. There were times where I would normally freak out and try to change the subject, but I found myself digging deeper and asking for more of their opinions. It was great to be a part of MSCE where I could help plant seeds and share the gospel with people that were so willing to listen and so curious about Christianity. Two weeks ago, I left my research position at Mackay Memorial Hospital in Taitung to join a Luke Christian Medical Mission and Taiwanese Christian Medical Association-sponsored medical missions trip. All I had was my backpack, a vague idea of what I was going to be doing, and a sense of relief to be leaving my slightly stagnated project in Taitung for something different. Little did I know that I was going to bring back so much more. I should have brought another backpack. 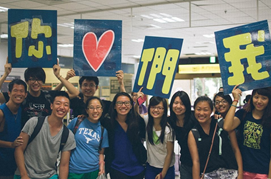 The primarily Taiwanese-American missions team was made up of one doctor, two professors, and 12 students, aged 18 to 25, who all aspire to one day work in the healthcare industry. Doesn’t seem like your typical medical missions team, does it? Where are all the doctors? Why are there so many students? Well, this team, despite its strange makeup, was perfectly suited for this particular missions trip because its purpose was to hold a week-long summer camp, during which we, the American TA’s, spread the Gospel under the guise of teaching English to and exchanging cultures with Taiwanese medical, nursing, and speech pathology students from Mackay Medical College (MMC). 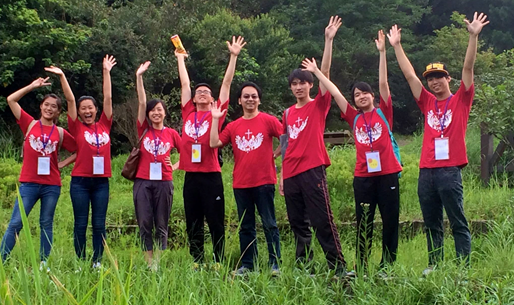 We spent the nine fun-filled and adventure-packed days of the Medical Students Cultural Exchange (MSCE) Summer Camp giving presentations on the American and Taiwanese cultures, teaching English, playing ridiculous games concocted by the Taiwanese students, embarking on wild field trips, and introducing the students to Christianity. Amidst all the craziness, I managed to come away with a few crucial lessons. Lesson #1: The unexpected is always right around the corner. Every morning, the American TA’s would gather together to do devotionals at 7:45am and then lead a Bible study for interested students from 8:15 until 9am. Although I was initially skeptical that any students would even attend the morning Bible study, much less engage in it, I was happily proven wrong not only by the large turnout, but also by the sheer level of interest from the students. The questions they asked were truly challenging- honestly, I could not answer most of them- and the conversations started in Bible study were often continued throughout the day. The next routine activity was breakfast, which was utilized as a vehicle for Morning Manna, during which a few TA’s and students shared their testimonies with the rest of the group. Even though I did not feel that I had successfully conveyed the message that I’d intended to during my Morning Manna, I was happily surprised to hear from students that they had related to my testimony and experiences. So what did I learn from Bible study and Morning Manna? I learned that God works through the unexpected. Lesson #2: You always have to believe that the road is worth walking. In the middle of the week, we took a day-long field trip to Yang Ming Mountain. During the trip, Jeremy, another TA, and I led our team of Taiwanese students on a hike up Mian Tien Mountain that had been recommended by a bunch of elderly men sitting at the side of the trail. “You kids should definitely hike the Mian Tien Mountain trail. Forty-five minutes tops. The view of Danshui from the top is absolutely breathtaking.” We figured, if a bunch of elderly men could do the hike in 45 minutes, we could go and come back in time to meet up with everyone else- after all, we were a team of young, healthy 20-somethings. Boy, were we so wrong! By the time we had all hiked to the top, we were already 10 minutes late. By the time we returned, we were an hour over. Halfway through the nearly vertical hike through dense rainforest-like foliage, one of the students started to feel dehydrated, so while the rest of the team went ahead, I stayed behind with her and together, we slowly made our way up. I have been in a few sticky situations before, but this was by far the worst. I was terrified the entire time that she would pass out, no matter how much water I kept giving her, and that we would be stuck, alone, in this forest. My fear was only compounded by the fact that passing hikers informed us that they had seen poisonous snakes on the trail and that the sun was close to setting. However, finally, we reached the top to the cheers of our team. What did I learn from this hike? Though the view at the top and the feeling of victory were certainly worth the hike, the painful hike itself is what I’ll always remember. I’ll never forget continuously speaking words of encouragement and trying to drum up energy in my student while secretly praying to the Lord that He would deliver us safely to our promised land. Just look at that view! Can you pick out which student was about to pass out? Lesson #3: It’s much more effective to teach by showing than by saying. During a presentation on American culture, one of the TA’s discussed the slang phrase “YOLO.” (Just as a side quip: one of my students, Terry, so loves American slang that we spent one entire lunch session just scrolling through tons of slang). Later in the week, during one of the English language activities, we played a game where the Taiwanese students would guess what an English phrase meant while we would guess what a Chinese idiom meant. One of the English phrases that popped up was “Carpe diem.” Even later in the week, I got up in front of everyone and tried to explain again what “Carpe diem” meant to prepare the students for “Dead Poets Society,” an award-winning film from 1989 that focuses on an English teacher who teaches his students how to seize the day through explaining poetry. 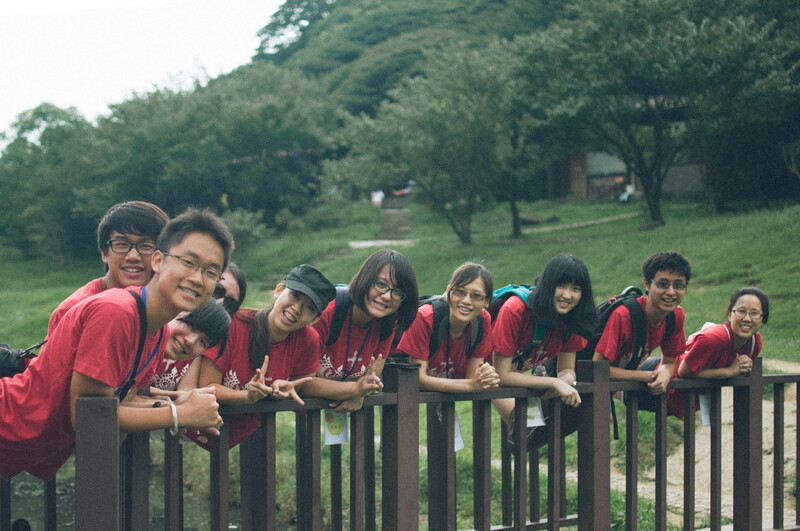 However, despite the repeated explanations over the course of the week, I felt that the students never really understood what it meant to “seize the day.” Taiwanese kids are stereotypically shy and not confident in themselves- the message was just not sinking in; it didn’t jive with their whole being. Therefore, when the opportunity to show them presented itself, I dove in head first. Literally. I dove into the pool of water at the base of a waterfall. Finally, the lesson was learned. 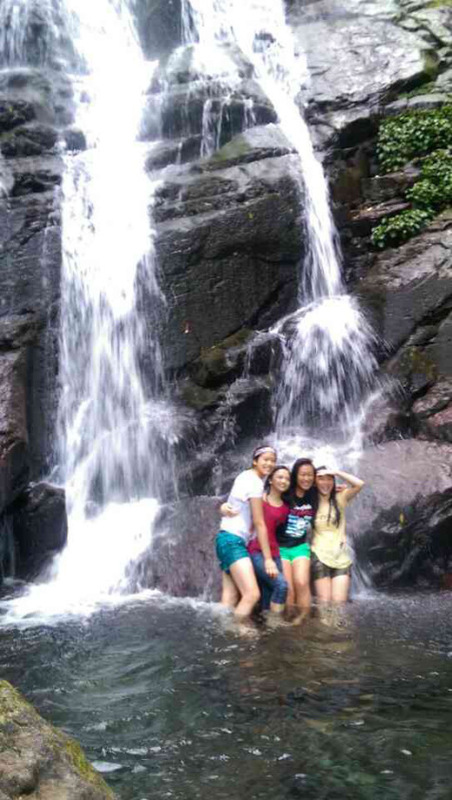 My first ever time swimming in a waterfall, joined by another TA and two of our Taiwanese students. There is no greater feeling than laying on the rock behind us and letting the waterfall’s water just flow over us. At the end of the week, I was wiped out physically, mentally, and emotionally but completely renewed spiritually. Ultimately, the most important lesson that I learned was that God is absolutely necessary in my life and that without Him, I don’t know what my purpose on this planet would be. I just pray that I managed to convey this to my students. Our entire team (Go Team Chopsticks!!!!) chilling out at the gorgeous beach in Sanzhi. It was only 9 days, but I love these guys. Team 2: True Love Apple! 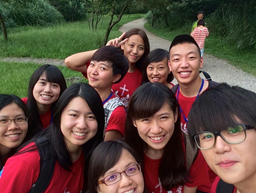 As someone who just finished his freshman year in college, can hardly speak Chinese, had never been to Taiwan, and had never been on a missions trip, I questioned God every day, wondering why he had put me on this trip. You can’t get any more newbie than that, right? Compared to everyone else, I felt the least qualified to be on the team. I just hope that my testimony here will change the way some of you think and encourage those who also feel “unprepared” to lead and to serve. Officially, the program began with the opening ceremony but my experience took off when I met a group of rising freshman on a bus to Mackay Medical College. From their twiddling thumbs to their boggling heads, I could tell they were just as nervous as I was but this was overshadowed by their excitement to participate in the program and to practice their English. It was here where I figured, it’s time to throw away my insecurities, God gave me a job to do and it starts now. I mean, I was 8,000 miles away from Boston; there was no turning back. When the bible says that God will provide, I say, “Amen to that, brotha!” There were so many blessings that I had on this trip that it seemed illogical to justify it with luck. I could only explain it with God’s love that was not only within the students and TA’s but at the campus itself. The conversations we’ve had quickly transformed a small team of 10 strangers to dear friends. These conversations even got to a point of depth and seriousness where I even struggled to speak in English. (This is where I’d like to give a shoutout to everyone who helped translating for me, big one for fellow TA Jeremy Yang!) But despite this language barrier that I had, it was only a small hurdle with the support from the TA’s, curiosity and eagerness of the students, and the faith I had in God. I wanted to share this verse, not because someone else was looking down on me, but because I was constantly looking down on myself. It wasn’t until I remembered this verse that I realized I shouldn’t be bogged down because communicating is hard. In fact, the students must have felt the same way, except when speaking in English. But what I thought was my greatest weakness actually turned to be one of my greatest strengths. It gave me something to share with my team, to encourage them, and to empathize with them. Speaking anyway is just one way to communicate. At MSCE, I’ve learned that there are other ways to share the gospel and that is by your lifestyle. Smiling, crying, serving each other food, and even taking a bunch of group selfies are all universal ways to grow close with others. What makes MSCE different from other programs is that it does not end after the closing ceremony. This program is meant to build relationships. Even in the second week when I was in Taitung with the other TA’s, I spoke with my MSCE team between breaks at the hospital, in the commute between locations, and also during a typhoon. They’ve given me the best time in Taiwan. We’ve climbed Yang-Ming Mountain, gone to the Shilin Night Market, drank boba tea, and fought (I fled) ginormous flying insects together. What I had expected in this program was a cultural exchange but what I got out of it was a family in Taiwan where I once had none. Because this was my first medically related missions trip, I was eager to see what I could learn in the medical setting in Taiwan. 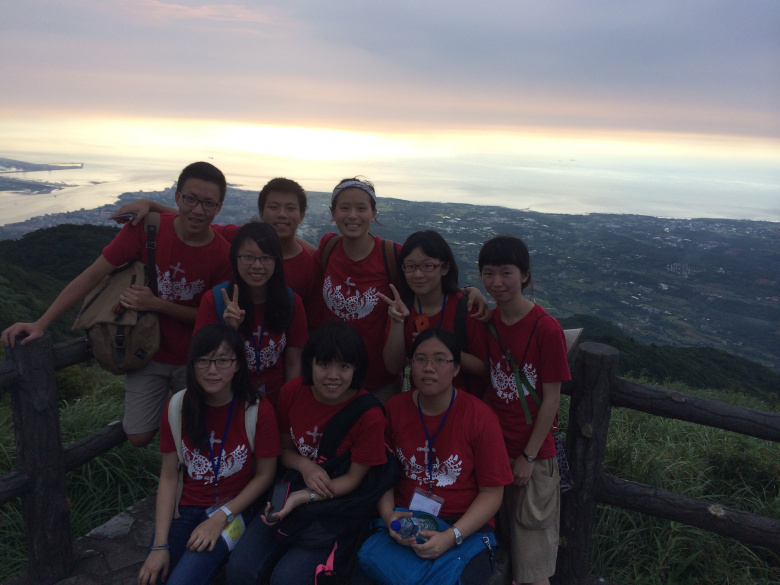 After MSCE week, we traveled down to Taitung. We only spent one day in Taitung Christian Hospital (due to a typhoon), but I spent much of the day shadowing a missionary doctor. Not only was it exciting to realize I had learned so much in one year of medical school, I was able to see clear examples of how medical knowledge was a tool for caring for underserved patients. Sustainable work, including teaching the first graduating class of community health workers of a minority group in Myanmar, was possible because this Christian doctor sought to do the work that God put on his heart. In my first year of medical school, my opinions of certain specialties and lifestyles have been easily swayed simply based on what others have told me. Through talking with this doctor, I was reminded of the value of cultivating a vibrant relationship with God to do the work he has and will put on my heart. During our stay in an aboriginal village in Taitung, we partnered with a young missionary couple who had just moved there a few months ago. They left comfortable jobs to live in this village to show and share the love of Christ. Our team helped as small group assistants at a youth camp. I found myself frustrated easily with my inadequate language abilities and (what I saw as) many of the teens’ lack of motivation to engage. By the second day, however, God addressed my frustrations by allowing me to see beneath the shy exteriors of the youth as they began to warm up to us. Cross-cultural missions is by no means easy work! This trip was exactly what I needed to refresh myself after a long year of medical school. I’m challenged to pray and consider what having the heart of Christ and the skills of a doctor will mean for me in the future. For now, it has rejuvenated my willingness to submit to the discipline of learning medicine. For the future, I am praying to stay open to saying yes to whatever He calls me to.